Volunteers make Bike MS possible! 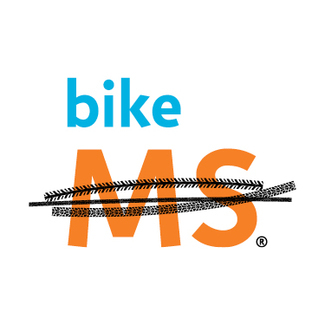 Join us for BIKE MS: MS 150 Presented locally by C.H. Robinson June 7-9. Work with staff to prepare starting area. May include hanging banners, setting up tables/chairs/tents, organizing materials, and greeting early participants. May include heavy lifting (50lb). Provide information and customer service to participants and spectators. Event information and maps will be provided. Check in volunteers, ensure paperwork is turned in, and volunteers receive a t-shirt and instructions for their shift. Load participants' bicycles onto trucks in a safe and professional manner. Sponsored by Sanofi Genzyme: Oversee Top Fundraising perks by recording and distributing items. Also includes monitoring Food/Beverage and cleanliness of outside area. Sanofi Genzyme Volunteers: Contact [email protected] to register. Unload and distribute supplies, set up tents, tables, and chairs, hang banners and signage, decorate tents and tables - heavy lifting may be required (50lbs). Provide participants with basic medical attention. Proof of first aid/CPR certification (or higher) is required prior to the event. Welcome participants, ensure luggage is properly tagged, check participants' luggage in/out of secured area, lift and move duffel bags, tents, coolers and luggage cases. Some heavy lifting required (up to 50lb). Photograph participants in the finish line area. It is required that photographers provide their own digital camera or video camera. Send all media to volunteer staff person post-event. Cheer on the cyclists as they make their way through the finish line! May require other duties, as needed. My husband who has MS is biking, so I'd love to be part of the cheering squad as he finishes. *Requires background check. * Work with MS staff to sell vintage jerseys. Set up/take down hydration area. Welcome and encourage/congratulate participants, mix sports drinks, serve beverages, ice down beverages, and replenish supplies as needed. Keep gymnasium clean. Clean up the event site, take down decorations, signage and banners, break down tents, tables, and chairs, organize and load supplies - heavy lifting may be required (50lbs).